Em Stafrace| Just a Girl with Ideas: STUDIO 68 IS AT ONE STORY DOWN! STUDIO 68 IS AT ONE STORY DOWN! 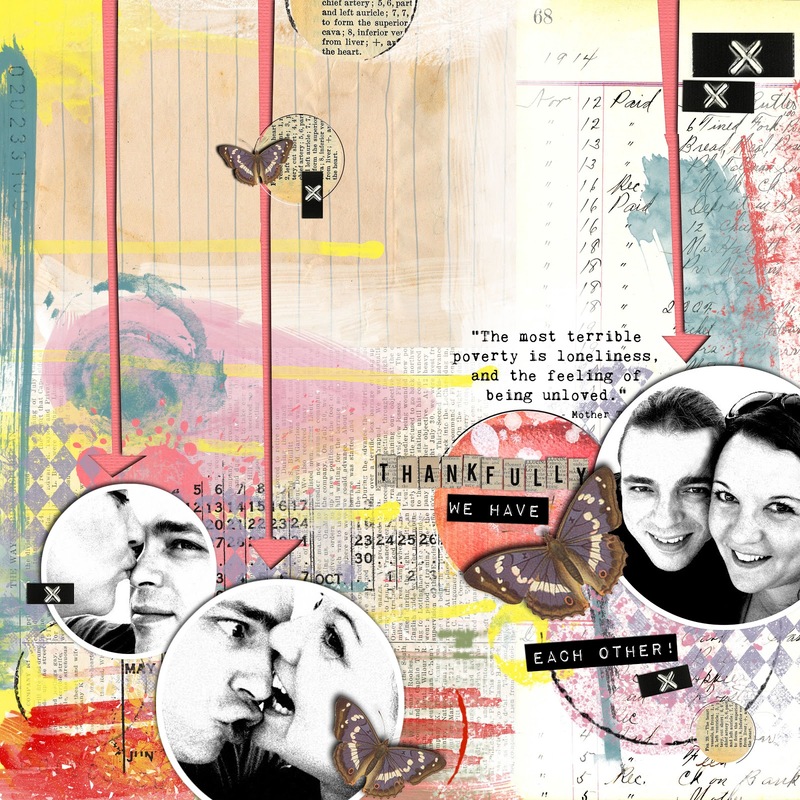 Over the next few weeks Studio 68 is guest designer at 'One Story Down'. For those of you that are digi scrappers or love to use digi kits in your hybrid projects, One story Down is a one stop shop. It has quite a few of my fave designers like Lauren Reid (Owner), Sissy Sparrows, JM Designs and Peeps & Milo. 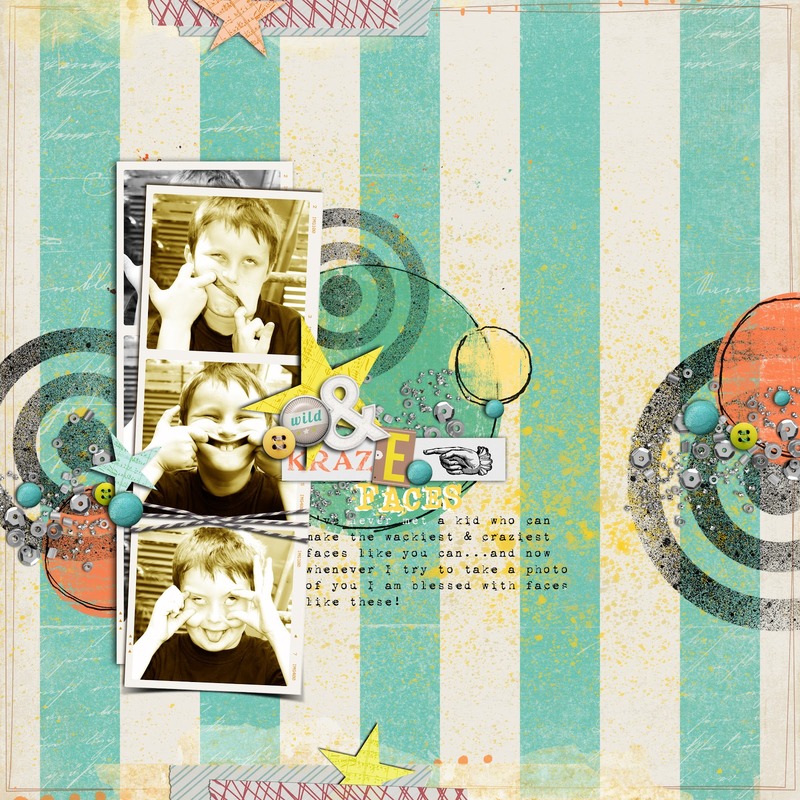 Now Sandra the fabulous mastermind behind Studio 68 is guesting there and has collaborated with Tracy Martin on a cute kit called 'Embrace the Crazy' which you can get at 20% off right now! Here is my CT page using the kit! My little model is my girlfriends son Joshie. Don't you just love how he can contort his face, lets hope the wind doesn't change ha ha! 'Wild & KrazE' Credits: Embrace the Crazy Collab Kit by Studio 68 & Tracy Martin Font: 1942 Report I thought that I would share a couple more pages using more kits from designers at 'One Story Down' Here's one of Bethany and her Cabbage Patch friend, ain't they just too cute for words! Lastly one of Dan & I. These photos are oldies but I love them so much so thought I'd create a journal page using some Sissy Sparrows goodness. O Em these are just fabulous! I love your electric style!